Whether it’s a strong cup of English Breakfast to start the day, a delicate green to power you through the afternoon or an interesting herbal blend to satisfy your sweet tooth, browse through the tea retailers loved by the High Tea Honeys and discover something new. Why we love them Harney & Sons’ Paris tea has a special place in my heart. Notes of vanilla, fruit and lemony bergamot makes Paris utterly indulgent. Melbourne tea company High Tea with Harriet is a family-owned, artisan tea company, with a unique range of enticing teas (disclaimer: that I am yet to sample). 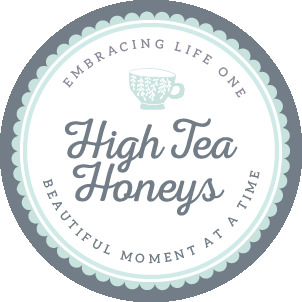 Until I can personally vouch for them, High Tea with Harriet has made the list for scooping up multiple awards at the 2018 Australian International Tea Expo – give the award winning blends a try. The gorgeous packaging wasn’t lost on me either – I’m a sucker for a beautiful box of premium loose leaf. Closer to home is Libertine Blends. Founded in Wellington, we love Libertine for their organic and unique blends, from Runaway Rose to my favourite – Exhale Detox tea, peppermint, liquorice and cinnamon offer natural sweetness to complement all of the amazing therapeutic benefits of six herbs that work to detoxify and tone the liver. Another tea company close to home, established in New Zealand in 2015 is Noble & Savage Tea Merchants. Noble & Savage is served by one of my local lunch spots and I adore the hearty English Breakfast blend. Ritual Tea Company, local to Wellington, hand-blends organic teas and herbal infusions for people who are looking for a healthy way to relax, recharge and reconnect. Ritual Tea Company’s “Kitchen Table” black tea and the “Lay me down” chamomile and lavender blends are my pick of their beautiful selection. Founded right here in New Zealand, t Leaf T offers an outstanding range of beautiful teas to satisfy the tastes of even the most refined and frequent tea drinker. We love t Leaf T for their festive Christmas Tea blend to be enjoyed all year round – the scent of cloves, vanilla, and cardamom break through the flavoursome black tea base. t Leaf’s creme brûlée tea is a favourite discovery of late and we always love a good strong cup of Wellington Breakfast, a nod to the home city of the High Tea Honeys. Originating further afield, you will find TWG tea served alongside the finest, most elegant and luxurious afternoon teas. Take note when we suggest you order Vanilla Bourbon, a red tea from South Africa blended with sweet vanilla TWG Tea. It is pure happiness in a cup.